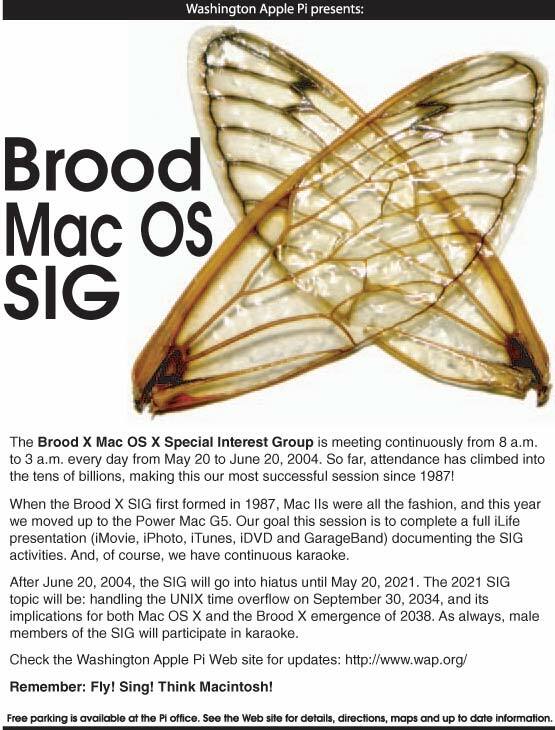 The Brood X Mac OS X SIG is meeting now! There is not a moment to be lost! So far, attendance has climbed into the tens of billions, making this our most successful session since 1987! Grab a SIG poster, in either Adobe Acrobat (PDF) format or in Web-friendly JPEG format. Miss this meeting and you'll have to wait until 2021! Remember: Fly! Sing! Think Macintosh!